It’s that time of year again. 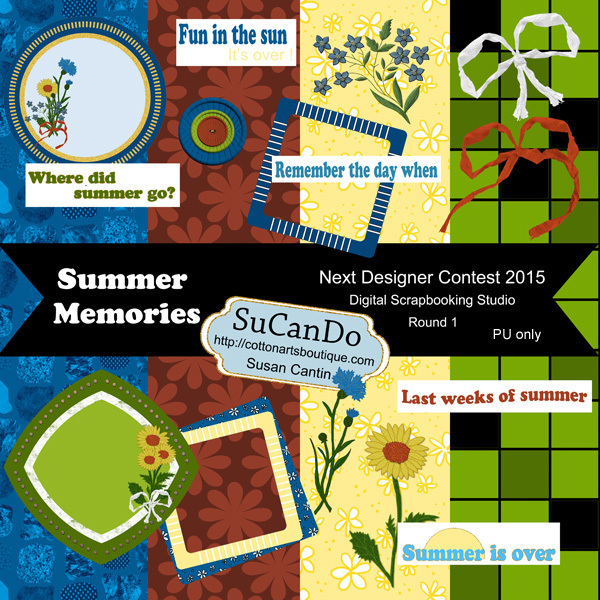 The Digital Scrapbooking Studio is having their designer challenge. This is the first week. It called for going back in time to create a traditional scrapbooking kit. I chose Summer Memories for all those who want to now scrap their holiday photos and bring back those wonderful times of warm, freedom filled days behind us.